Have a fantastic & safe Halloween everyone! Sounds like fun! Do you have a monkey too???? Enjoy your party and SWS! OH FUN!!! Great costume idea!!! I loved that movie too! We were in "Seussical" the Musical and let me tell you that unless you make thin braids your hair will weigh down the wire and it won't work. It will work if you do thin braids. Post pictures...that was always one of my favorite movies growing up! 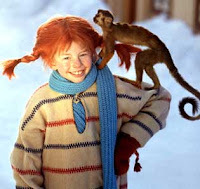 Oh I LOVE Pippi! Have fun tonight at the party. Happy Halloween!!! Great idea! I hope to see pictures! First time to do Six Words. I had a daughter who did Pippi before. Cute! 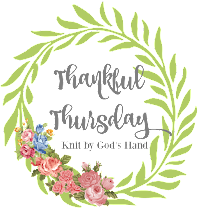 Hop on over to my blog as I am giving away a Randy Alcorn~ Heaven~ book for my 100th post!